E&M’s representative in Bangladesh & Asia! 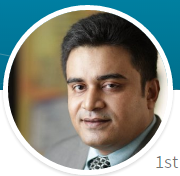 Rashed Kamal is CEO at The Databiz Software Ltd. company in Dhaka / Bangladesh and International Consultant at ITC (Geneva). Rashed is associated to E&M and acted several times as co-trainer and coach in E&M’s export strategy programmes all over the world. He holds a Bachelor degree in Business Administration from IBA(Institute of Business Administration), Dhaka University and post graduation from Institute of Information Technology (IIT) from the same university . He is a Certified Software Infrastructure specialist and has over 16 years work experience in the greater Eastern Asian region and in Western European countries. IT Export Marketing and IT Journalism.